It’s true 4K disc players have been left behind in the wake of widely proliferating 4K TVs and 4K streaming devices, and mainstream consumers may never totally warm up to them. 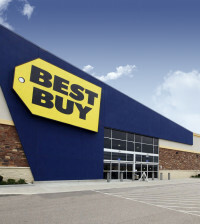 However, the prices on 4K Blu-ray players have dipped below $100, and they can also be found in the newer Xbox Ones (“S” and “X”). 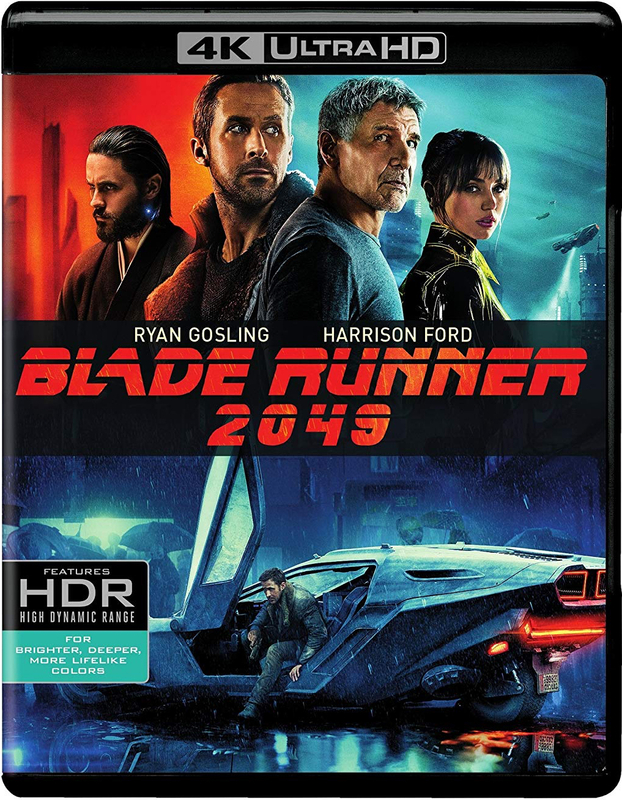 Plus, as more and more 4K titles sink below the $20 mark, buyers will be more inclined to spring for 4K even if they don’t own a 4K player, as most releases now also include a standard Blu-ray and digital code. We’ve taken a lay of the land and assembled a collection of the best 2018 4K and Blu-ray gifts that should appeal to movie and TV fans of one kind or another. The centerpiece of this set is the new 4K HDR transfer of the 1993 original directed by Steven Spielberg. Too bad there’s nothing new in the way of extras like a fresh interview with the legendary director, but that seems to be the way these studio releases are going these days. 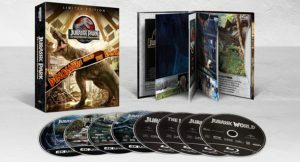 Oh, you also get The Lost World, Jurassic Park III and Jurassic World. YMMV with the sequels. 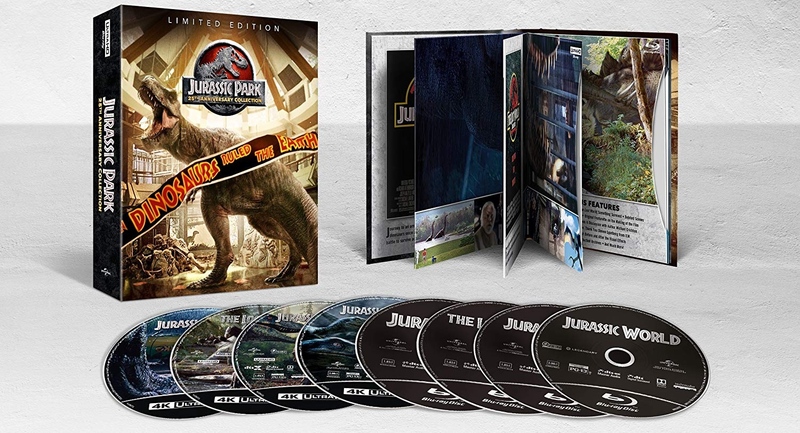 And you’ll have to buy this year’s Fallen Kingdom separately, of course. 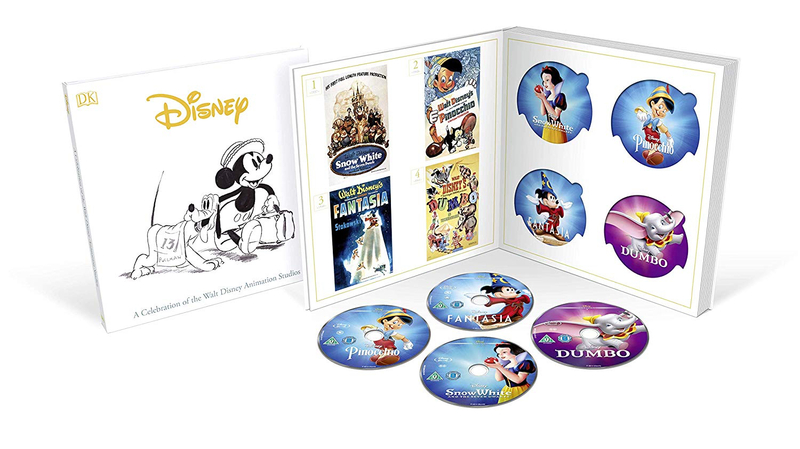 Available in early December only in the UK, this massive set collects 55 Disney animated features from 1937’s Snow White and the Seven Dwarfs up through 2016’s Moana, with an open space for this fall’s upcoming Ralph Breaks the Internet. Note: 50 movies are region-free Blu-ray with 5 movies (including The Black Cauldron) on Region B/2 DVD. 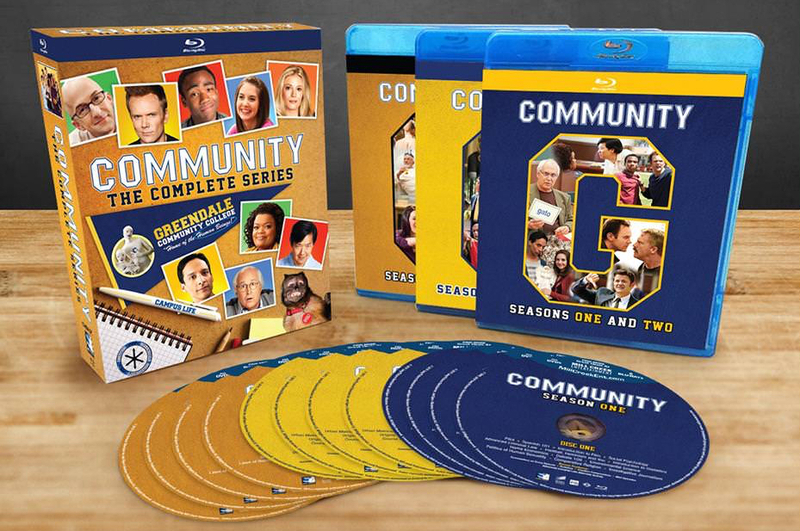 The cult-classic comedy created by Dan Harmon (Rick and Morty) is on Blu-ray for the first time and includes all 110 episodes from its six hilarious seasons. There’s already controversy that the packaging is super cheap and a few special features from the previous DVDs are missing. However, Harmon’s season 6 commentaries from the Yahoo! run are now available, as they were not included in the previous DVD set. 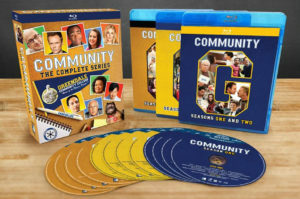 While the entire 5-season run from the ’80s definitely looks its age, especially upscaled to 1080p, the breadth of extras included in the set make it a valuable collection. 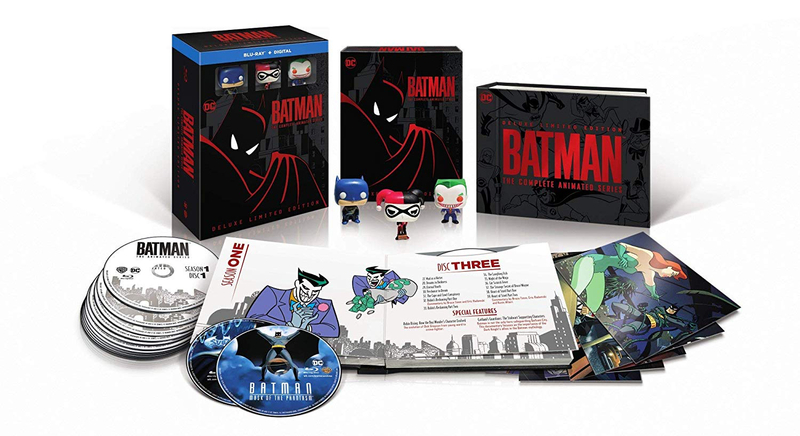 Includes all 85 remastered episodes from the original 1990s show, plus 24 episodes from The New Batman Adventures and two movies: Mask of the Phantasm and Mr. Freeze: Sub Zero. Other collectibles include 3 Funko Pops (Batman, Harley Quinn and Joker) and an art book. With upwards of $700 million in domestic box office grosses and nearly that many Marvel characters featured in the 2-1/2 hour running time, the Avengers show little signs of faltering…except that Black Panther has taken its crown as box office champ. Debate continues to rage whether Thanos looks great or terrible as an all-CGI creation. 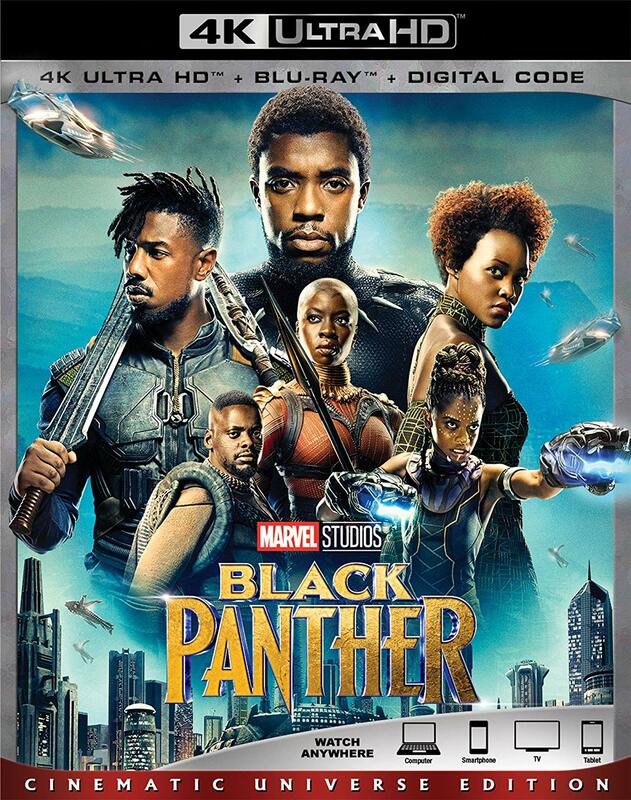 Early in the year, Black Panther blew up on the pop culture scene and went on to gross more than $700 million at the US box office. 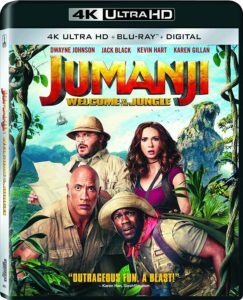 Highlights of this home video release are the sparkling HDR10 transfer—the movie was shot in ARRIRAW 3.4K—and the audio commentary by talented director Ryan Coogler (Creed, Fruitvale Station). 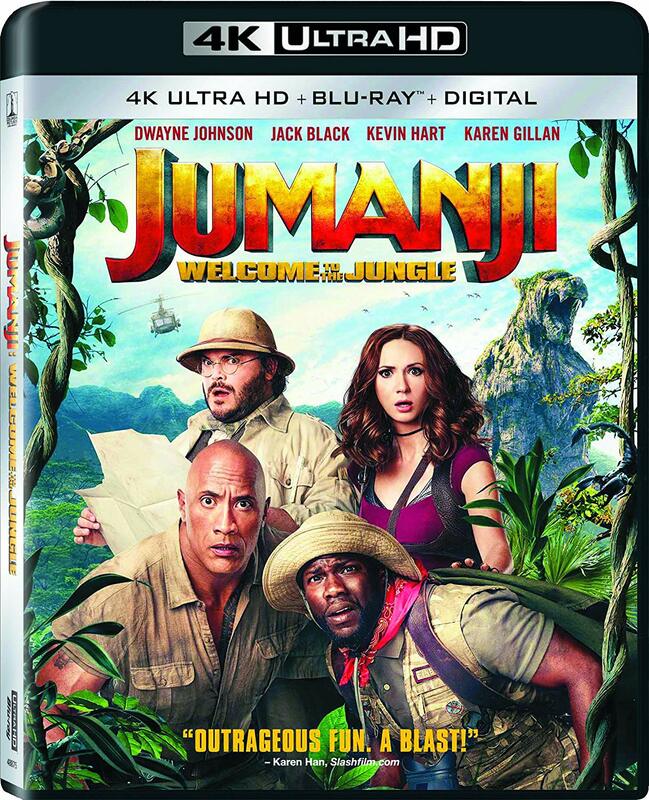 This reboot of a ’90s board game movie was a surprise hit last winter ($400+ million domestic) because the filmmakers actually cared to develop the characters amidst the wackiness. They’re almost forgiven the inevitable (mediocre) sequel. Plus, the highly detailed 4K picture looks fantastic. Note: the Blu-ray release also includes a Blu-ray 3D disc, something you don’t see often these days. 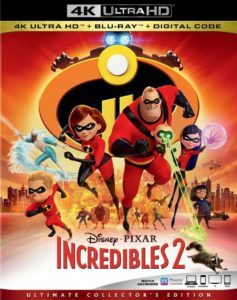 Arriving 14 years after the original movie—one of the crown jewels of the Pixar cinematic universe—Incredibles 2 (and returning director Brad Bird) had a lot to live up to. 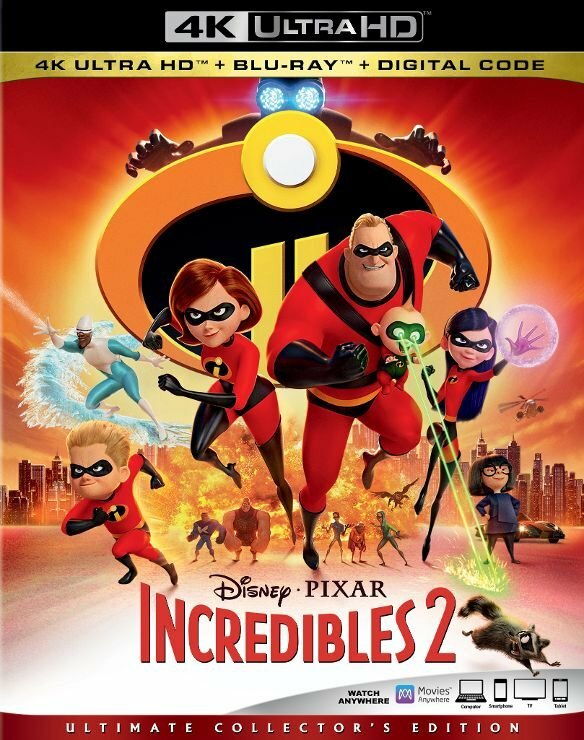 So far, it’s grossed over $600 million in the US alone, so while it’s unlikely to catch the Avengers/Black Panther stratosphere, it’s by far the highest grossing Pixar movie to date, and that’s saying a lot. 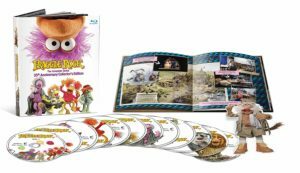 Big box store Target will also be releasing an exclusive edition 4K steelbook ($33) that includes a filmmaker gallery and storybook. 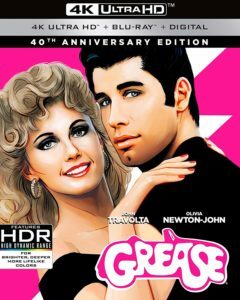 As seems like a troubling trend with many new studio re-releases on 4K, the extras are all ported from the previous Blu-ray release, so don’t expect anything new there. 35 years is an outrageously long time to wait between sequels, but Blade Runner 2049 arguably outdoes the original. While the visual palette matches Ridley Scott’s stunning and oft-copied production design, director Denis Villeneuve (The Arrival) expands the world and improves the storyline. Aside from the inclusion of the YouTube “Prologues” that appeared before the film’s release, the extras are not particularly special and are all found on the Blu-ray disc, which is standard these days. 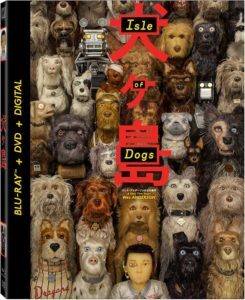 Surprisingly, Fox opted to not release Wes Anderson’s latest stop-motion extravaganza on 4K, although maybe that’s in keeping with the quirky filmmaker’s retro reputation. Nonetheless, the effort here (captured from 2K digital intermediate) is fantastic for Blu-ray and does justice to Anderson’s various and sundry artistic flourishes. The extras here are scant, but expect Criterion Collection, which does special editions of every Anderson film, to serve up a ton of them when that eventually is released. Has it really been 20 years? 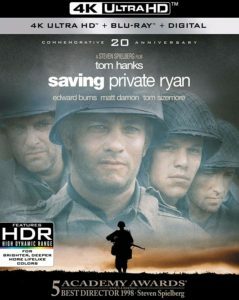 Steven Spielberg’s graphic foray to the front lines of World War II has been given a reference quality 4K HDR transfer from the original 35mm. It also gets a new Dolby Atmos mix that punches up the battle sequences’ immersive sound. 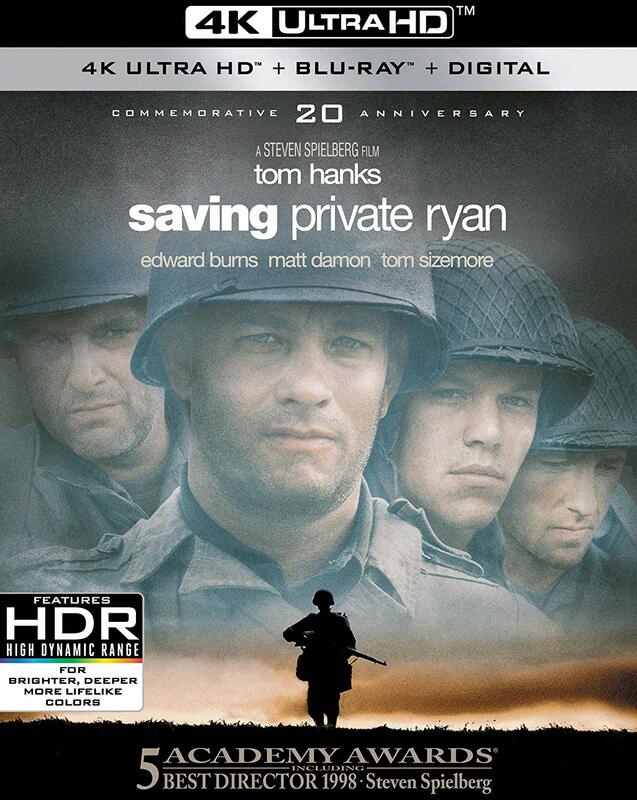 With Saving Private Ryan, Paramount has produced one of the best back catalog 4K discs yet. It also looks like the studio’s whole home video budget went into the picture restoration because the extras are just ported from older Blu-ray editions. Paramount also does a bang-up job with the 4K transfer of an even older catalog title, Grease (1978). 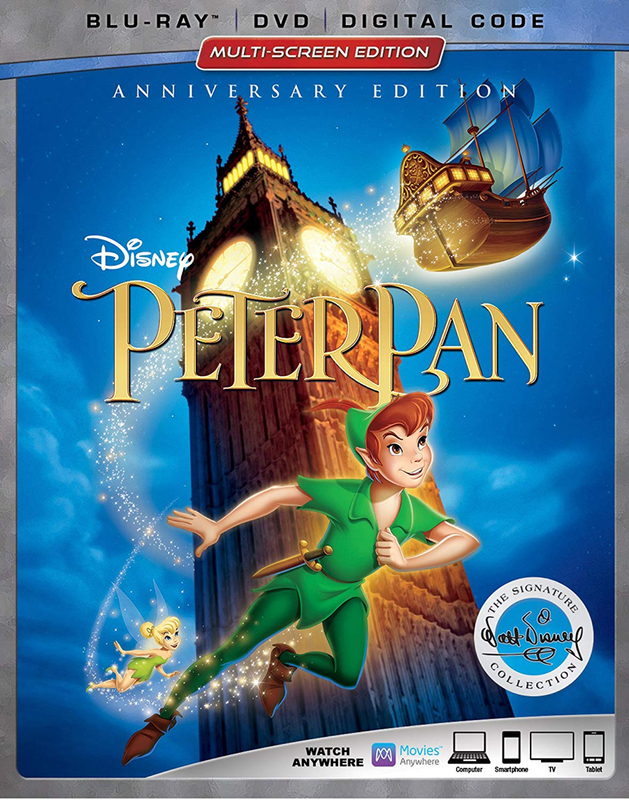 Director Randal Kleiser spent about four months supervising the restoration from the original negative and 70mm sound mix to a new 4K HDR scan and 5.1 Dolby TrueHD audio. Now this box office hit looks and sounds the best it will probably ever look and sound on home video. 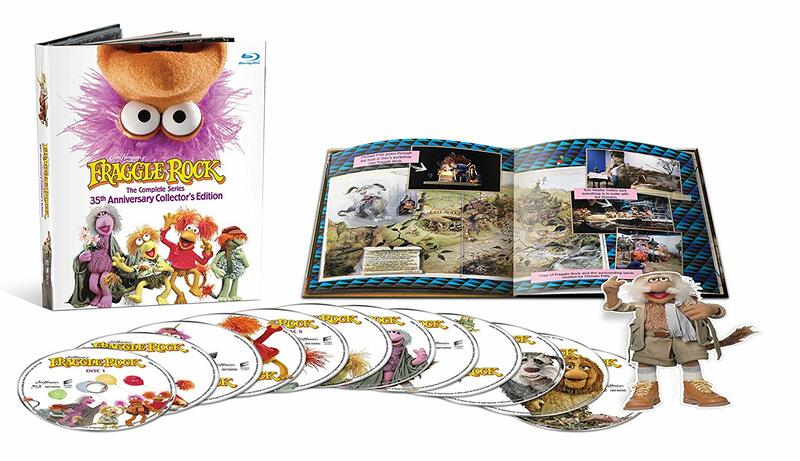 There are a handful of new extras for the 40th anniversary (about a half hour’s worth), but mostly stuff from the previous Blu-ray version. Although it wasn’t a big hit at the time of its release, The Princess Bride (1987) has aged very well and attracted new fans from subsequent generations. 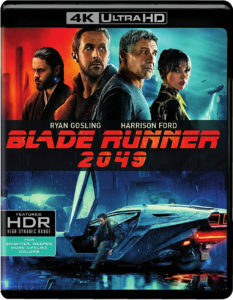 And although it is not a 4K release, this latest home video edition is a fantastic Blu-ray transfer from a 4K scan, in keeping with Criterion’s reputation for meticulousness. Criterion assembled just about every extra feature and commentary out there for this movie, even the ones from the ’90s Laserdisc (gasp), but there’s not much new for this edition. They did, however, throw in a 36-page commemorative hardcover book to sweeten the deal. 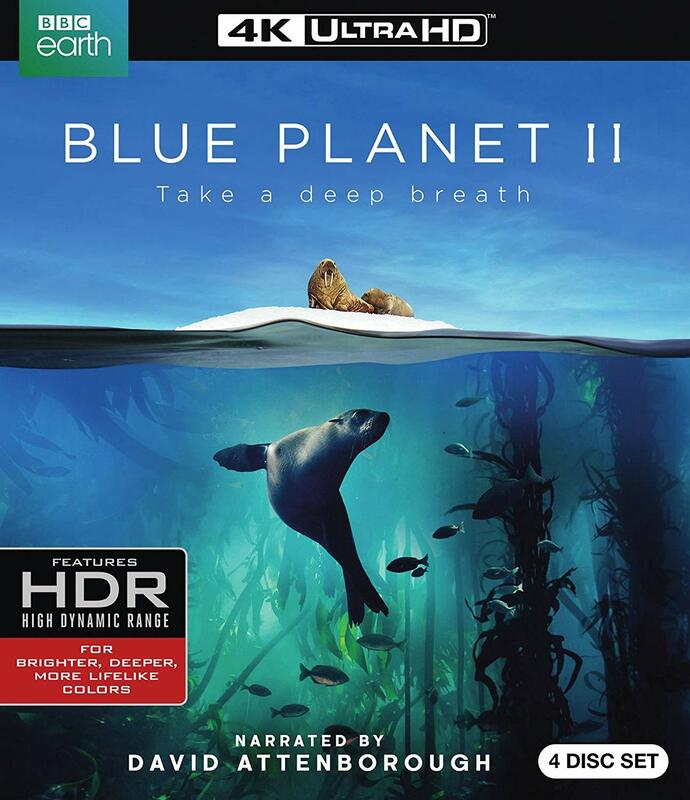 Buy it for the pretty 4K nature photography; stay for the inimitable David Attenborough’s narration and storytelling. The series’ 7 episodes are contained on the first 3 discs with a 50-minute “Making Of” documentary on the 4th (standard Blu-ray) disc. 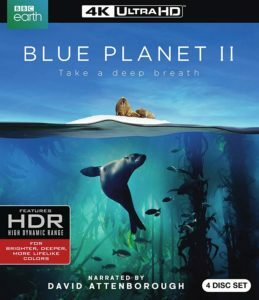 Like last year’s Planet Earth II release, there’s no Blu-ray or digital copy included with the 4K release. You have to buy all 3 formats separately. I say again, Boo, BBC, booooo! Disney’s Signature Collection re-releases are notable only for the inclusion of the now-ubiquitous digital copy (Movies Anywhere compatible). 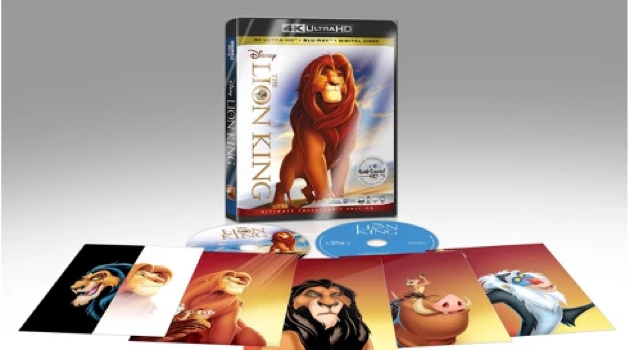 Otherwise the 1080p transfer is the same as the 5-year-old Diamond Edition, now out of print. Disney did add a couple short 2018 bonus features for this 6th (!) home video release of the beloved animated film: one about Walt Disney’s interest in flight and the other a conversation with the actors who played the voices of Wendy and John. Debuting in 1994, Disney’s The Lion King essentially became the Star Wars of the Millennial generation, although let’s face it, Simba’s Pride is no Empire Strikes Back. 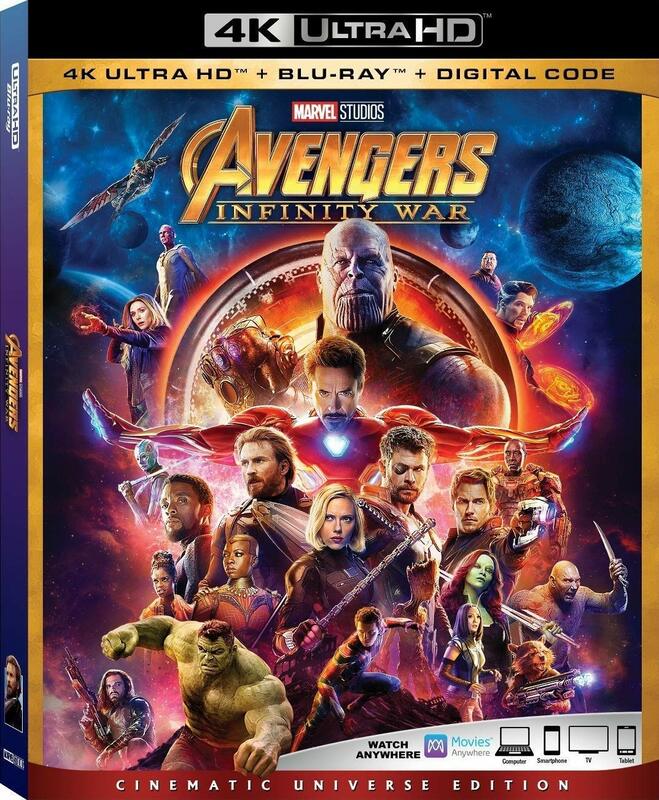 Also like Star Wars, it’s been released in countless home video editions… so the new 4K Signature Collection Edition, which is not set to hit stores till December 4th, certainly won’t be the last! There are not a lot of details currently available about the 4K transfer or any new extra features, but expect Disney to give one of its crown jewels a superlative polish.